I know there’s a book called The Secret out there. 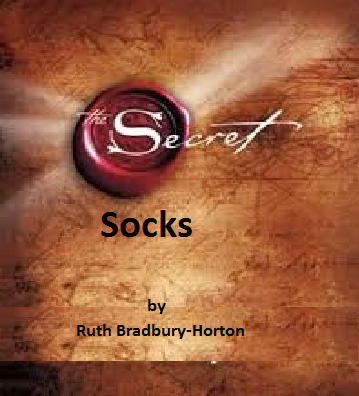 Please tell me it’s about how to wear, and keep in place, secret socks. Seriously, there is more to the secret of these little fabric foot pouches than simply not seeing them when wearing shoes. Although, and I kid you not, I have seen somebody wearing them with sandals. Best not go there. Today I’ve got a pair on my feet. I won’t say I’m wearing them, because while they are on my person, they are shifting around in my shoes, moving towards my toes where they will bunch up and have me grinding my teeth within the hour. I don’t even know which way round they go, as in do I have the heel part over my toes, or vice versa? For crying in a bucket, how difficult can it be to put them on? I’m an adult for goodness sake, you’d think I’d know how to put on a pair of socks, secret or not. I’m wondering, could this be my new book? Once you find out the secret please share it! I’m here thanks to the Colonist. please edit my typo to: Colonialist. WOW – what an error! Reblogged this on FOOTNOTES: A Sockumentary. *bitterly* You should try my stocking. It takes a crane to get it on, and high explosive to take it off. I shall be providing one of the instrument of torture in question! P.S. In fact, I did – and gave you full discredit … er, I mean, credit! I usually wear open shoes, so no secret socks for me. The one pair I once had were used as bed socks! They came off during the night, but by then my feet were warm.